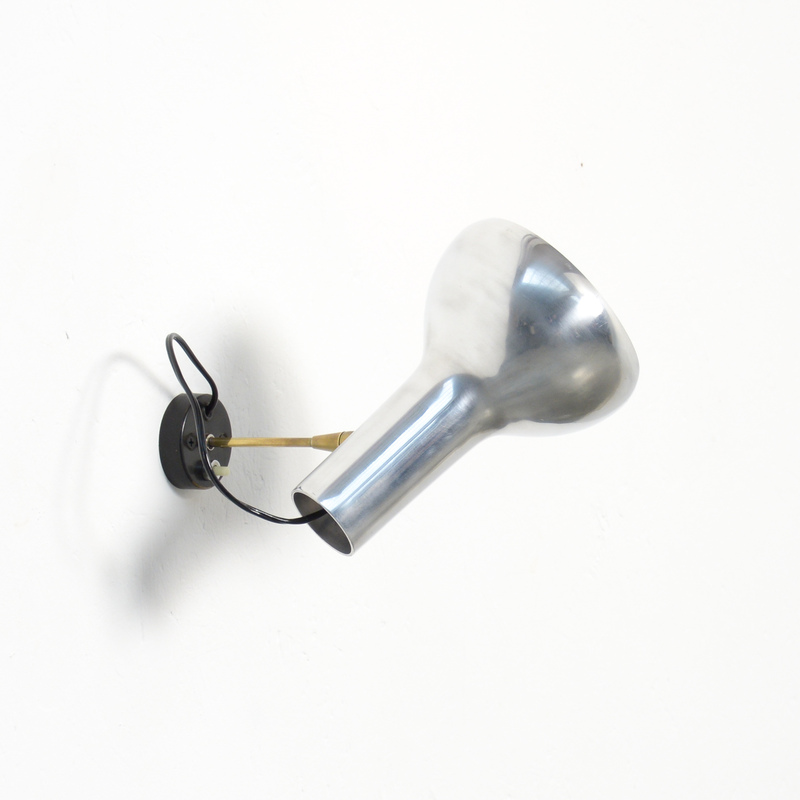 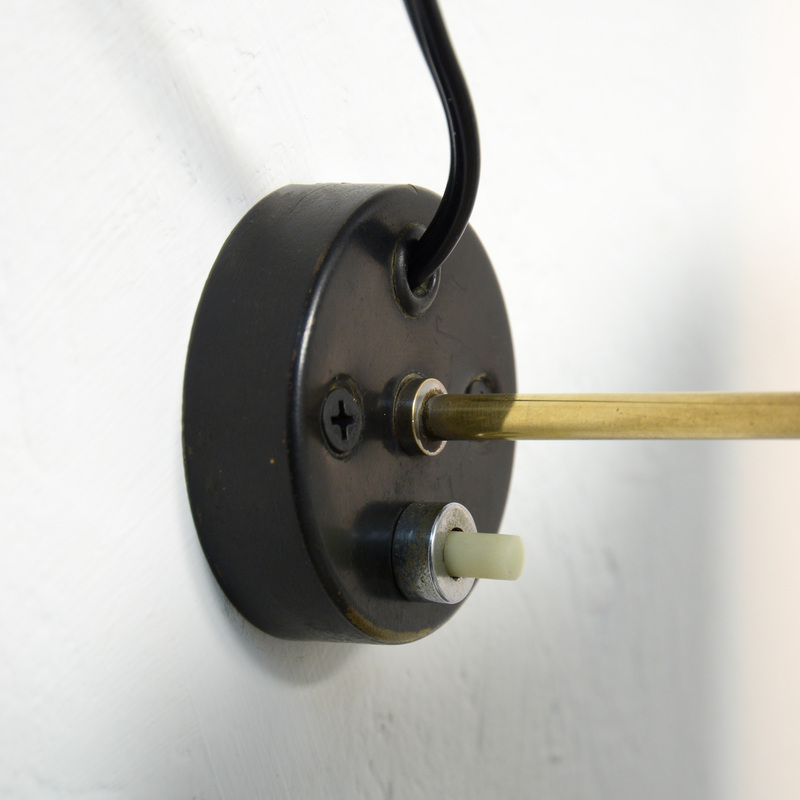 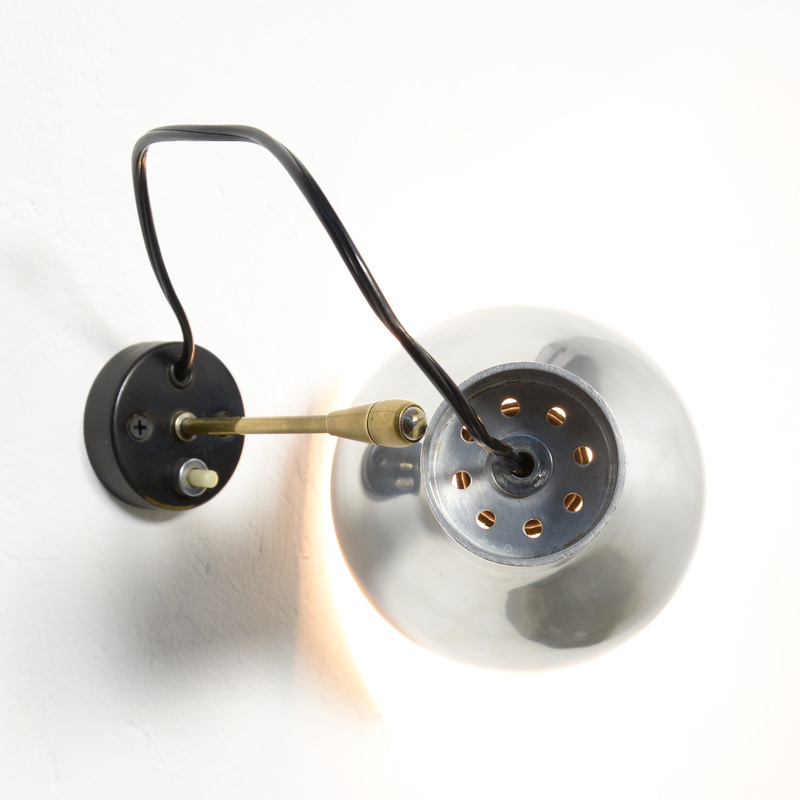 This wall lamp model 7 is an iconic design by Gino Sarfatti. 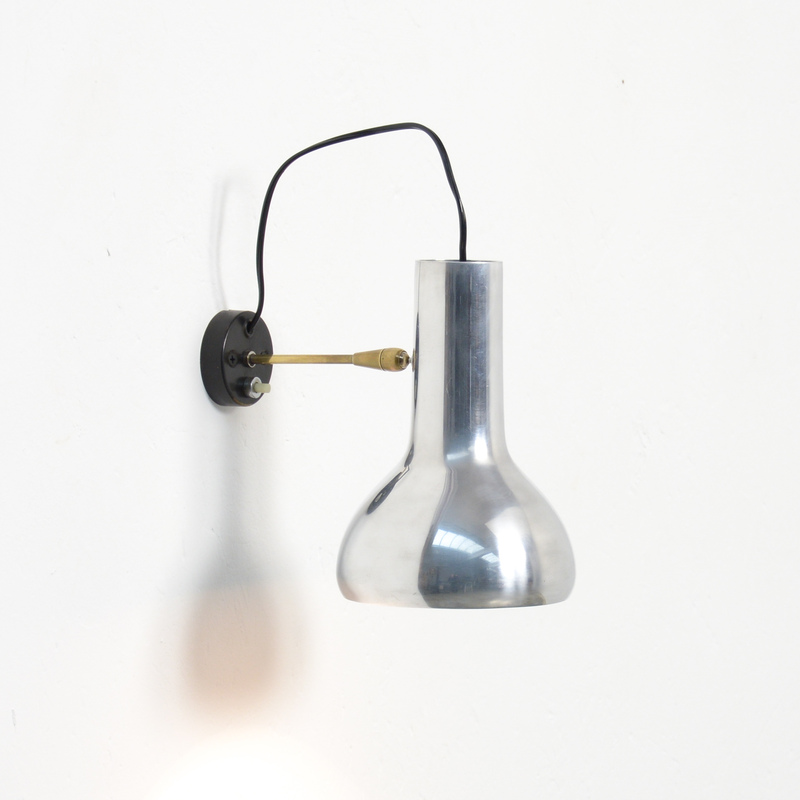 It was manufactured by Arteluce in Italy in 1957.The base and the stem are made of brass, the base is black lacquered. 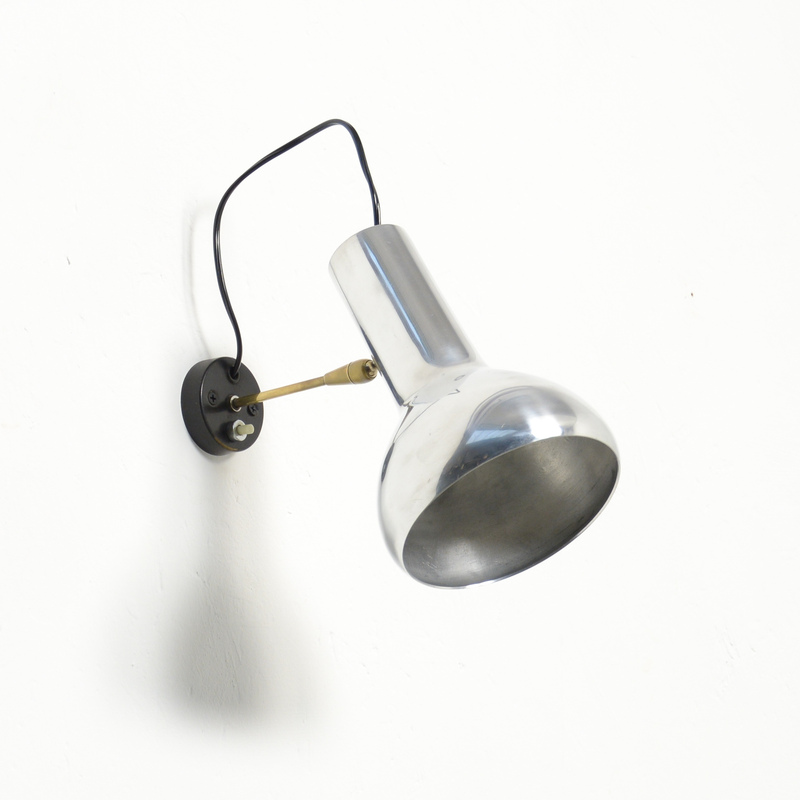 The hood is made of aluminum and can be turned in many directions.This lamp is in very good condition, cleaned and checked and completely authentic.